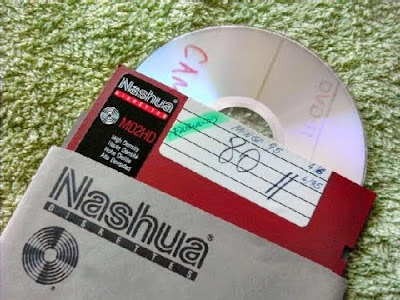 They are a thing of the past, used during the 80's and 90's and nobody uses these disks anymore. But that doesn't mean you have to throw them off. Why not turn them into something useful! 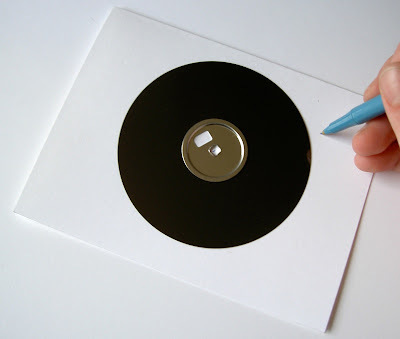 Greeting Card: If you have been looking for a unique card, this might interest you, a turntable greeting card made out of the disk. Link. 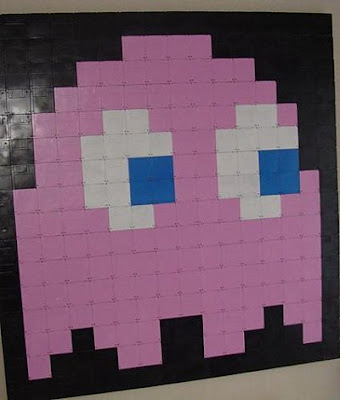 Disk Pixelart: Mosaic pixelart made from 256 disks. 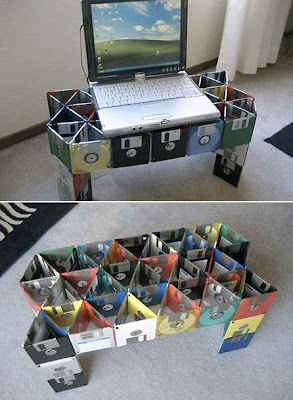 Laptop Stand: To create this one you need 82 disks, a cardboard base, popsicle sticks and glue. 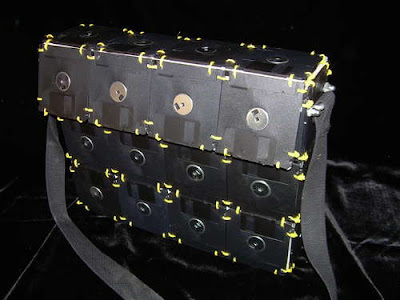 Interestin Bag: How about creating a disk bag? 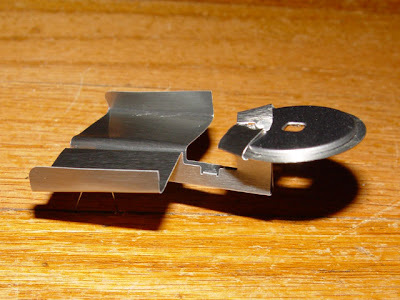 CD/DVD Case: A good use to 5 1/4" disks; use them to make CD/DVD cases. Link. 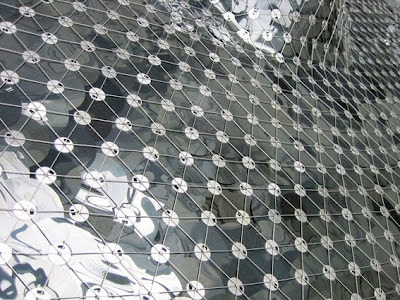 Starship Enterprise: How about making a Starship Enterprise? Sounds interesting? Link. 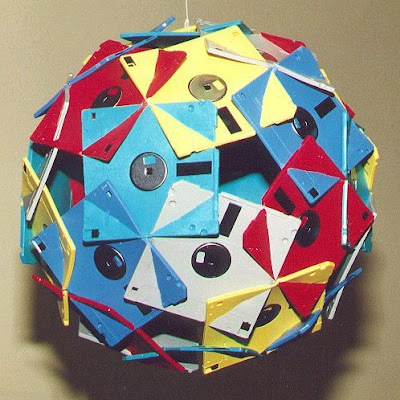 An Interesting Sculpture: Created by G Hart, this 3.5-inch disk sculpture consists a five-color pattern of thirty 3.5-inch diskettes put together without glue. 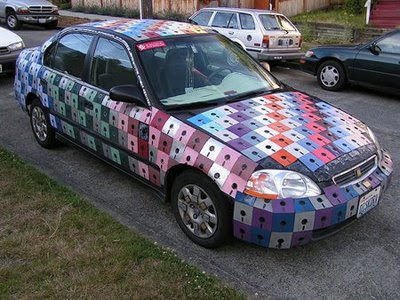 Disk Art Car: This Weigand's Disk Car, a 1998 Honda Civic covered with disks. 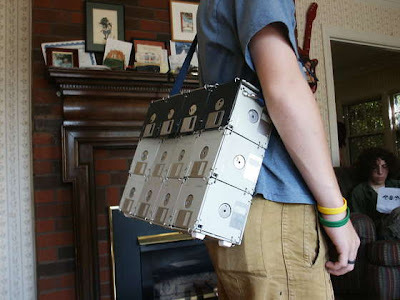 Laptop Bag: It looks really cool, here are the details to make - link. 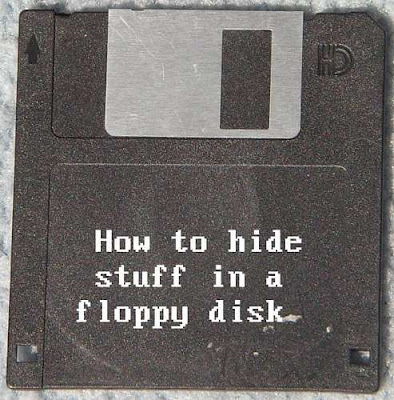 Hide Stuff In A Disk: If you want something to hide (may be a SD Card), none would ever think of searching for it in an old disk. So how about creating one -link. 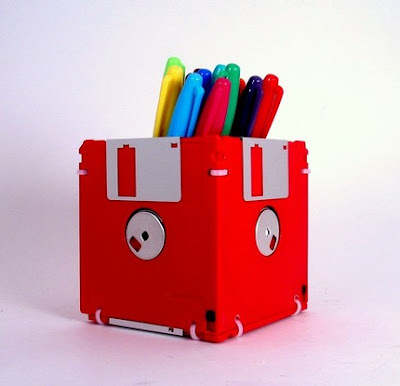 Disk Notebook: This one looks quite simple yet a practical use for disks. If you wish to make one for self here are the details - link. 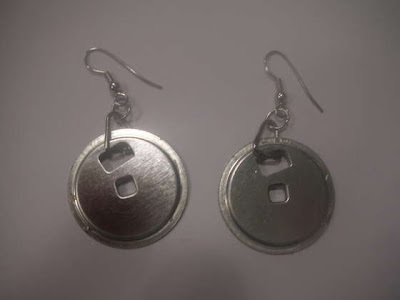 Earrings: Easy to make, here are the details - link. 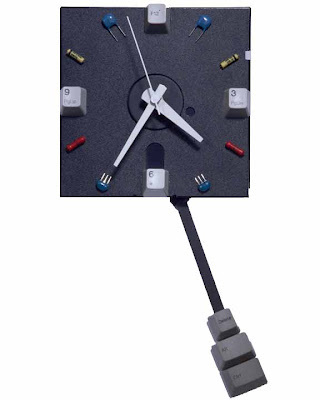 Disk Watch: Another interesting use to old disk. 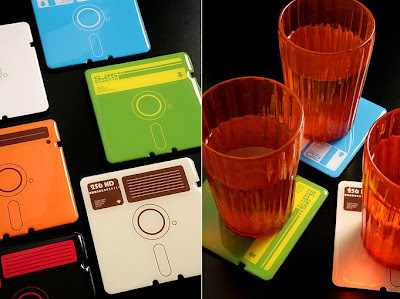 Disk Art: Creative use for these disks. 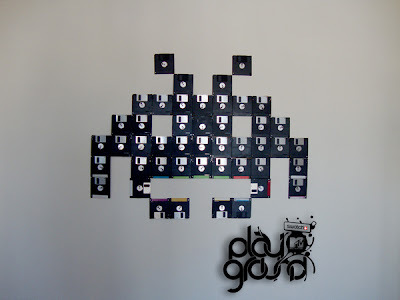 Disk Cloth: Cloth made from the inside of 3.25 inch disks, designed and made by 2nd Change Design. 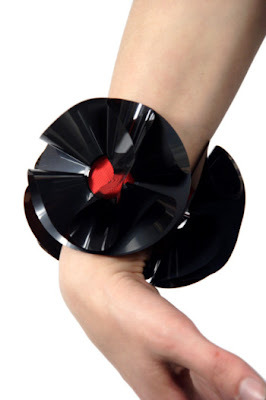 Bracelet: A creation of Belgium designer.